This post has 3,463 views. I went on my first conference trip recently in the area around Washington DC, and a colleague and I decided to swing by the Mall on one of the days. Due to time constraint, we only walked around the west side of the mall from near the Washington Monument to the Lincoln Memorial. This article is just for me to post some photos, nothing more. 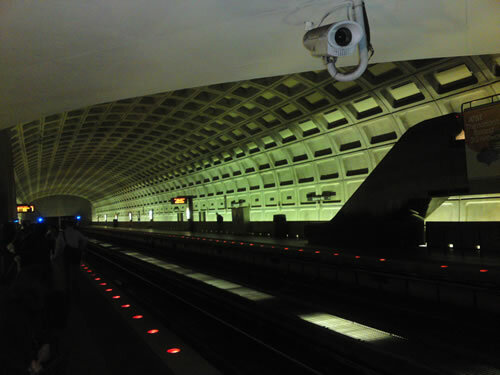 One of the many similar-looking subway stations in the DC area. To get to the Mall, we took the Metro to the Smithsonian station. DC has a pretty good subway system which consists of five different lines. Prices are calculated depending on starting point and destination and it’s not that cheap, but it’s probably one of the most convenient ways to get around the area. Most of the underground stations look the same, but they don’t look too bad. The Washington Monument, the tallest structure in the Mall. The Smithsonian stop is located in the middle of the Mall, a little bit east of the Washington Monument and in the midst of all the memorials, museums and other places of interest. 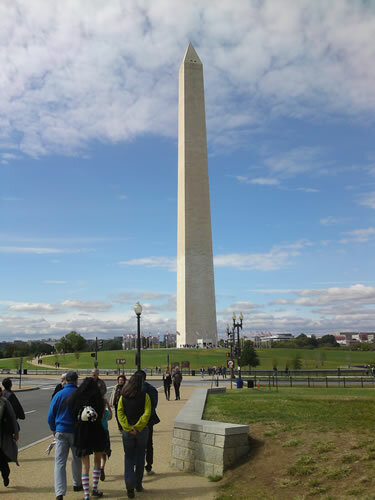 From the stop, we walked west past the Washington Monument. We were thinking about going up into the monument, but tickets ran out for that day, so instead we kept walking to the World War II Memorial with its fountains. 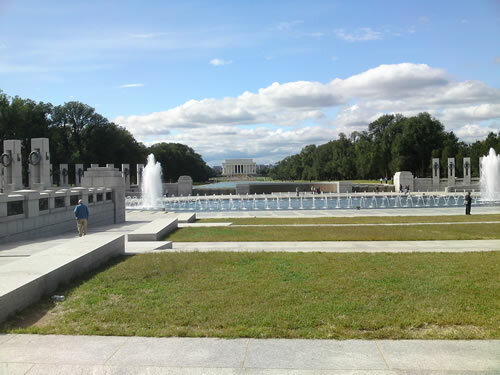 The World War II Memorial in the foreground and the Lincoln Memorial in the background. 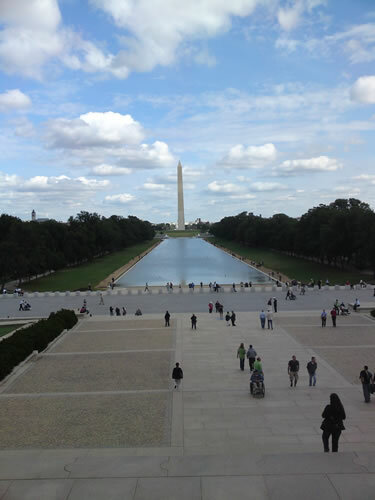 From there we continued along the Reflecting Pool to the Lincoln Memorial. It was a weekday but there were a good number of tourists at the Memorial. We climbed up to the memorial and took our photos with the statute of Mr. Lincoln, and that was the extent of this little trip. Time was up, and we headed back to the Smithsonian metro stop. 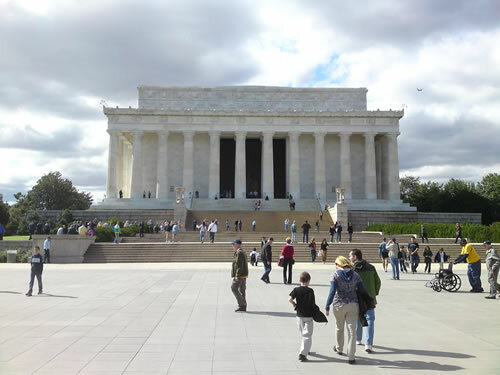 The Lincoln Memorial which marks the western edge of the National Mall. I’ve visited DC once before, but it was only for a day and I didn’t get to visit a lot of places. Because time was even shorter this time, we didn’t go to any places that I haven’t been to before. I’m sure there will be a next time though. Next time I’ll be sure to swing by some of the museums. I’ve only been the Air and Space Museum, and hopefully I’ll be able to visit the Museum of Natural History the next time I visit Washington DC.